Experience in Real Estate development will allow our Team to better assist you in customizing solutions that work with your requirements. If you are looking for financing to either start to build a home or complete your project, we can help. - We can provide financing for the entire project. - Already have a first? 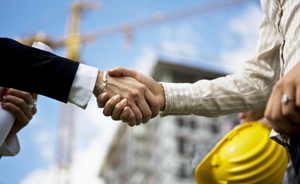 We can offer you a second mortgage for construction purposes. 2. Need a flexible repayment schedule? - We can accommodate your requirements, allowing you to concentrate solely on construction without the financial worry. - We will work with you to determine an advance schedule to best meet your requirements. - The knowledge we have acquired over our many years in this business will greatly assist you in accomplishing your goals. With close to 25 years of diverse real estate experience our Team is uniquely positioned to work with borrowers considering new construction loans. The team is proficient in financing building projects, and major land development or construction projects We have the expertise and are capable of providing you with the right loan product at terms you can manage.